Former Shin Bet Chief, Israel internal security agency, Yuval Diskin said he expects the situation in the occupied West Bank and Gaza Strip to explode, local media reported. He said that the Palestinians in both the occupied West Bank and besieged Gaza Strip have lost hope and this would cause an explosion. “One of the great accelerators of terrorism is when the other side loses hope,” Israeli newspaper Haaretz reported him saying. Meanwhile, the Israeli news website Ynet reported him saying he is “worried” about the deteriorating living conditions in the Gaza Strip and the West Bank, which might soon lead to an escalation. Israeli forces, today, abducted at least 13 Palestinians from various parts of the West Bank, according to the Palestine Prisoner’s Society (PPS). Israeli forces detained five Palestinians from the central West Bank district of Ramallah and al-Bireh. Meanwhile, PPS confirmed that three Palestinians were rounded up during predawn raids across the southern West Bank district of Bethlehem. Palestinian security sources said that among the three detainees was a young man from Tuqu’ town, southeast of Bethlehem city. In Hebron, two Palestinians were rounded up from the southern West Bank district. Elaborating on the Hebron-district raids, security sources said that Israeli forces detained Fateh’s secretary in the southern the West Bank, Awni al-Rajabi, who was taken from his house in Hebron city, and another man, after stopping him at a military checkpoint in the vicinity of the Ibrahimi Mosque. In the northern West Bank, PPS said that two Palestinians were detained from the Nablus district. In the Jerusalem district, Israeli troops manning Zaayim military checkpoint, east of Jerusalem, stopped and detained a former prisoner. The detainee was identified as the Director of Jerusalem’s Prisoners’ Affairs Commission office Thaer Anis. Israeli forces frequently raid Palestinian houses on an almost daily basis, across the West Bank, on the pretext of searching for “wanted” Palestinians, triggering clashes with residents. Israeli soldiers abducted, Wednesday, at least seven Palestinians, among them two women, in the occupied West Bank, including Jerusalem. Media sources in occupied Jerusalem said the soldiers abducted Mohammad Salhi, near Bab ar-Rahma mosque, in the eastern part of the Al-Aqsa Mosque, and moved him to an interrogation facility. 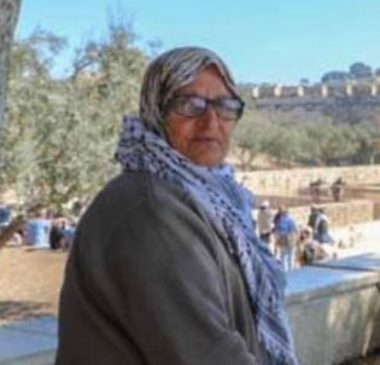 The soldiers also abducted an elderly Palestinian woman, identified as Nafeesa Khweiss, after stopping her at one of the gates of the Al-Aqsa Mosque. Furthermore, the soldiers invaded the az-Zawiya town, west of Salfit in central West Bank, searched several homes, and a barbershop and abducted Omar Ghassan Moqadi, 18, and Mo’awiya Sufian Abu Laila. In Hebron, in southern West Bank, the soldiers abducted a young woman, identified as Israa’ Hammad Abu Sneina, 22, after stopping her at Abu ar-Reesh military roadblock, west of the Ibrahimi Mosque, on the main entrance of the Old City. In Tubas, in northern West Bank, the soldiers invaded and searched homes in Tammoun town, south of the city, and abducted a young man, identified as Abdul-Rahman Jihad Bani Odah. 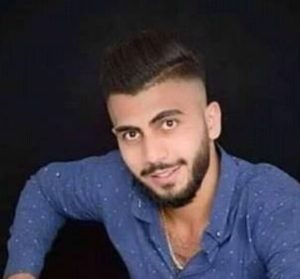 Furthermore, the soldiers invaded Aida refugee camp, north of Bethlehem, and abducted Hamza Abdul-Aziz Abu Srour, after breaking into his home and ransacking it. On Tuesday. the soldiers injured several Palestinians at the entrance of the al-‘Arroub College, north of Hebron, in the southern part of the occupied West Bank. Also on Tuesday, the soldiers abducted more than ten Palestinian workers in Barta’a town, isolated and surrounded by the illegal Annexation Wall, southwest of Jenin, in northern West Bank. The abducted Palestinians are construction workers and were taken from a building when the soldiers invaded and ransacked it. Israeli soldiers killed, early on Wednesday at dawn, two young Palestinian men in the al-Ghawi area, in Amman street, east of the northern West Bank city of Nablus. 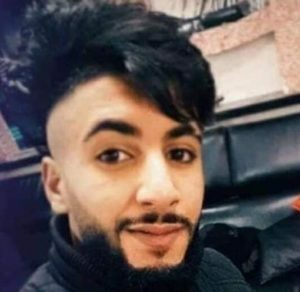 Media sources said the two Palestinians, Ra’ed Hashem Hamdan, 21, and Zeid Emad Nouri, 20, were killed after the soldiers, who were invading Nablus, opened fire at their car, killing them instantly. The Palestinian Red Crescent Society (PRCS) said its medics rushed to the scene, but the soldiers stopped them, and refused to allow them to reach the two Palestinians, before the army moved their corpses to Huwwara military base, south of Nablus. It added that the soldiers handed the bodies of the two Palestinians to its medics, on Wednesday morning. The PRCS added that the soldiers also opened fire at dozens of Palestinians, protesting the death of the two young men, and shot at least 12 with rubber-coated steel bullets, one with shrapnel, in addition to at least fifteen who suffered the effects of teargas inhalation. 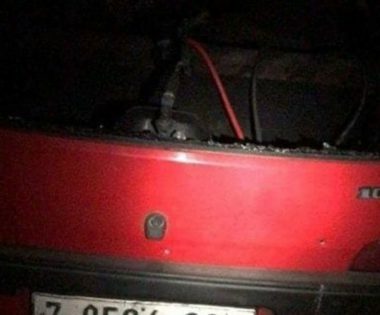 The Israeli army claimed that a Molotov cocktail was reportedly hurled at the soldiers from a speeding car near Joseph’s Tomb area, in Nablus, before the soldiers opened fire, killing the two Palestinians. It is worth mentioning that the soldiers invaded and ransacked many homes and occupied rooftops to use them as firing posts and military towers. In related news, the soldiers killed, on Tuesday at night, a young Palestinian man, identified as Omar Abu Laila, 19, who is suspected of killing two Israeli, last Sunday; the Palestinian was killed after the soldiers surrounded a home, and exchanged fire with him in Abwein village, near the central West Bank city of Ramallah. Also in Ramallah the soldiers invaded Beit Sira village, west of the city, and shot a young man, identified as Abdullah Mohammad Abu Safiyya, 21, with two live rounds in the leg and shoulder. The soldiers also abducted one Palestinian, identified as Samir Mahmoud ‘Aassi, 22, from Beit Liqya town, west of Ramallah. Israel’s occupation forces have killed a teenager in the occupied West Bank after an armed stand-off. 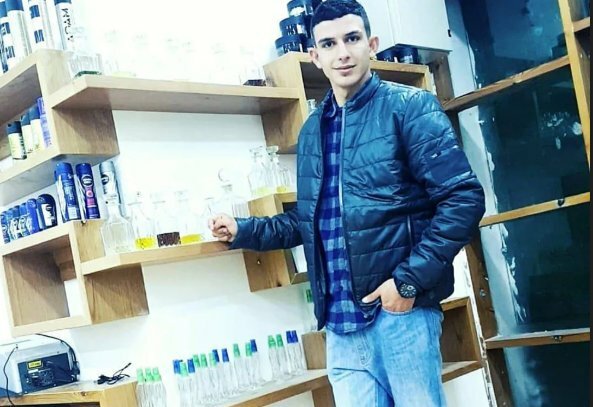 19-year-old Omar Abu Laila was killed on Tuesday March 19th in the village of Abwain in the Ramallah district of occupied West Bank by Israel’s occupation forces, which fired two missiles at a house he was in. Israeli occupation claimed that it’s secret police Shabak had shown that Abu Laila would have carried out an attack in which Israel’s occupation forces’ second lieutenant Gal Keidan(19) had been killed on Sunday March 17th. That incident took place near the illegal colony of Ariel in the Salfit district of West Bank and two other occupiers, at least one of them occupation soldiers, were injured. Palestinian sources claim that Abu Laila fought with the occupation troops using a gun he had taken from the dead occupation forces’ officer, refusing to surrender. Israeli occupation is reported to have also blown-up also another, deserted house in the same village and to have wounded locals with live fire; one person was also wounded from shrapnel to neck and legs but is staid to be in ‘a stable’ condition. Israel’s occupation forces killed two young men late on Tuesday March 19th in the city of Nablus on the occupied West Bank. The incident took place during Israeli occupation invasion after 22:00 Palestine time. 21-year-old Raed Hashim Mohammed Hamdan and 20-year-old Zaid Imad Mohammed Nouri, both from Nablus, were shot dead by Israeli occupation forces when they were driving at Amman Street in eastern Nablus. 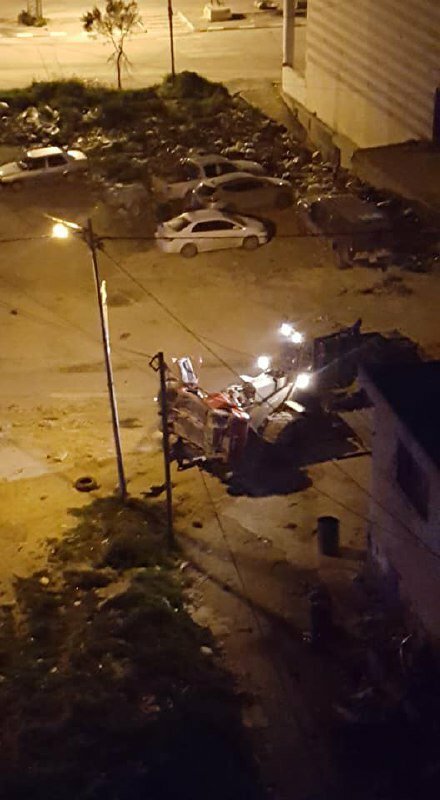 Israeli occupation forces stopped ambulances from reaching the victims by firing in the air and then used a bulldozer to crush their their vehicle on the street. Some sources imply the victims’ bodies would have still been inside, but this is unconfirmed. Israeli occupation claims that that the two youths would have supposedly ‘shot at’ occupation soldier before being shot and killed. There is no independent verification nor evidence for this allegation at this point, and crushing the car hardly benefits proving the claim. The occupation troops were escorting illegal Israeli settlers to the so-called ‘Joseph’s Tomb’, which is one of sites mistakenly attributed as ‘tombs’ of Biblical figures in the occupied territories.